A tropical Indian forest theme for the wedding, an Italy-inspired jazz brunch and a glitzy cocktail reception were some highlights of Monali and Rahul's nuptials. He grew up in Goa and she lived in Mumbai. 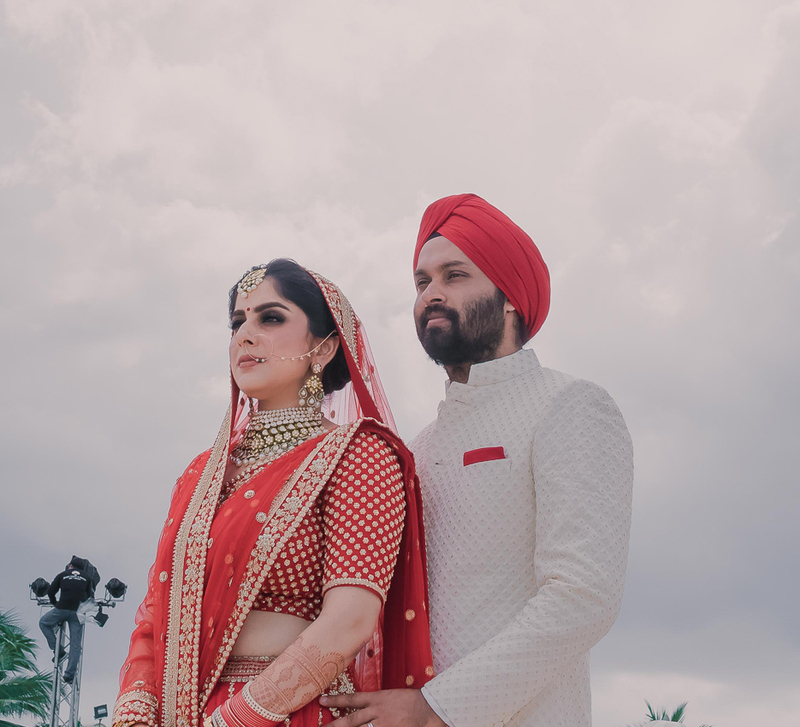 That's why Monali and Rahul's wedding functions were split between Goa and Mumbai, and saw a beautiful fusion of Indian rituals, European flair and Victorian English touches at the various events. 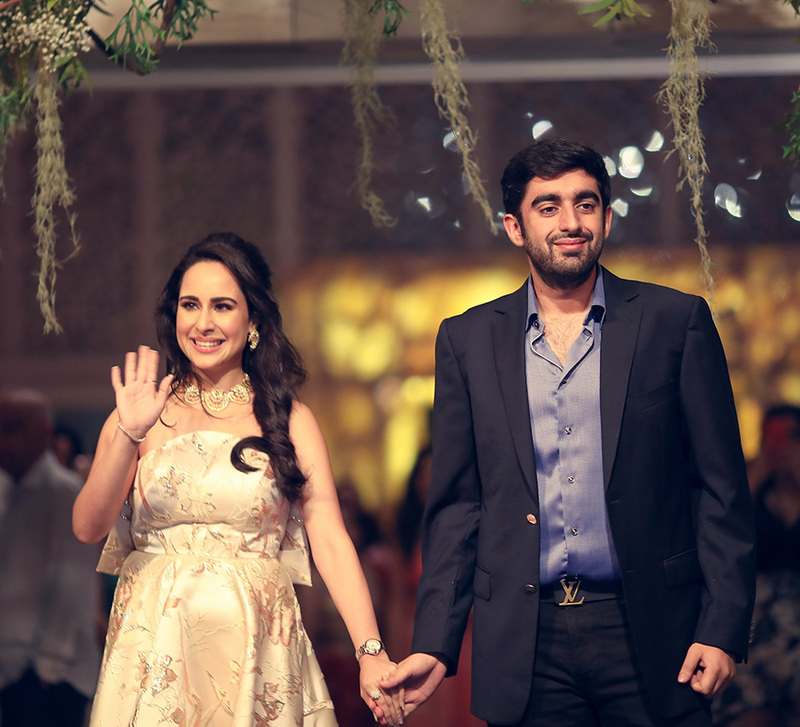 Here, bride Monali shares some highlights of the fabulous festivities. “The celebration started with the mandap puja. We wanted the decor and our looks to be simple and minimalistic, so as to not take away from the main wedding celebration that was to follow,” explains Monali. The bride wore a gorgeous blue and pink traditional Patola lehenga with a beautiful blue embroidered blouse and teamed her ensemble with statement jewellery while Rahul complemented Monali in his bright yellow and white kurta-pyjama. “The main wedding decor was inspired by a tropical Indian forest theme. We had a sundown baraat with trance/psychedelic and house music inspired by Goa since Rahul has been born and brought up there. The bridal entry was a traditional Ganga aarti procession led by our family pandits.” Adorned in a vibrant red lehenga designed by Anita Dongre, the bride was a vision to behold on her wedding day. It was a perfect indoor setting, and the wedding decor included shades of red and white in elements such as drapes and flowers that turned out to be traditional and beautiful. Monali shares, “The second day kicked off with an all-white jazz brunch and the theme for this event was inspired by Capri since we were going to Italy for our honeymoon.” The brunch was a complete success with great music playing in the background as the youngsters made the most of the big marquee initials by posing next to it for photo-ops. “The brunch was followed by the cocktail reception where Bryden and Parth performed. It was a black tie event with a Victorian English themed decor.” Exuding understated glamour, the bride made a statement with her feathery ensemble by Falguni Shane Peacock. Rahul, on the other hand, looked dapper in a classic black suit for the evening. For the reception hosted at The Club, Mumbai, National Decorators created an Arabic theme for the evening. With beautiful Moroccan lamps hanging and other silver ceiling hangings, the reception decor added a glittering brightness to the venue. While the bride wore a dazzling black and gold Sabyasachi lehenga, the groom looked handsome in a black bandhgala ensemble designed by Raghavendra Rathore.